Home > Used Vehicles > Ford > F-150 > 2015 > 2015 Ford F-150 XLT Supercrew 4WD - 1-OWNER! 2015 Ford F-150 XLT Supercrew 4WD - 1-OWNER! 325 HP ECOBOOST! BACKUP CAM! 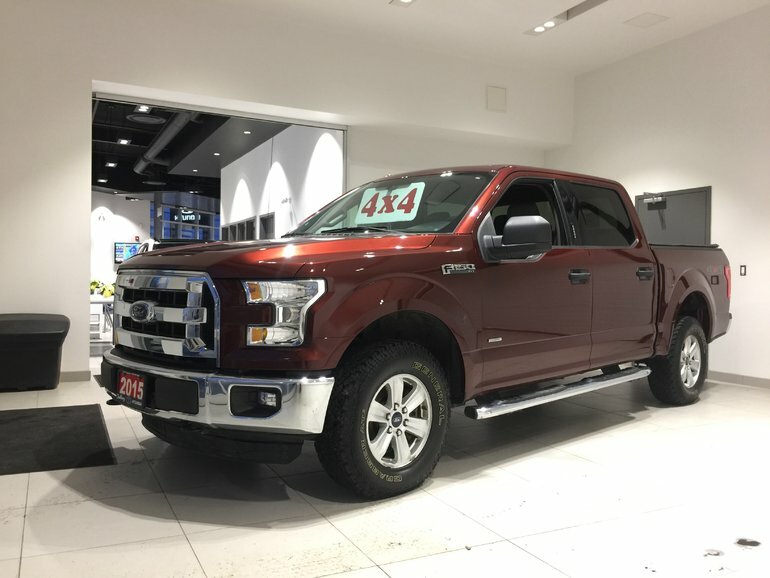 One owner F150 XLT Supercrew 4WD! 6-passenger! Fully equipped, including: 325 horsepower 2.7L Turbocharged V6, 6-speed shiftable automatic transmission, tonneau cover, trailer hitch, backup camera, Bluetooth, air conditioning, tilt & telescoping steering wheel, cruise control, power windows/door locks/mirrors, audio controls on the steering wheel, AM/FM audio system w/auxilliary input, alloy wheels, fog lights and much more. 2.7L V6 ECOBOOST - V6 cyl. Interested in the 2015 Ford F-150 XLT Supercrew 4WD - 1-OWNER! 325 HP ECOBOOST! BACKUP CAM! ?